Big news out today for Smashwords partner Lexcycle, makers of the super-awesome Stanza e-reading app. Lexcycle announced today on their blog they've been acquired by Amazon. Congrats to Marc and Neelan at Lexcycle. We are not planning any changes in the Stanza application or user experience as a result of the acquisition. Customers will still be able to browse, buy, and read ebooks from our many content partners. We look forward to offering future products and services that we hope will resonate with our passionate readers. It'll be interesting to watch how Amazon's ownership shapes the evolution of the Stanza app. With its support of epub, Lexcycle, via the huge popularity of Stanza, singlehandedly breathed life into the open industry format. Amazon, on the other hand, has been criticized for its refusal (to date) to embrace epub in favor of its proprietary Mobipocket format. Also at issue is DRM. Back at the Tools of Change conference in February, the scene was abuzz with criticism aimed Amazon's way for Amazon's insistence that publishers supply their ebooks in DRM-'d formats. Is Amazon's acquisition of Lexcycle a sign of more openness to come from Amazon, or a sign of changes to come with Stanza? The Twittersphere is all atwitterpated over the announcement. My roots are in Silicon Valley. For most of the last three decades, Silicon Valley was the world's hotbed for startup innovation. Our advantage over the rest of the world was our unique ecosystem of talent and funding, and a culture that celebrated creative risk taking, creative destruction, knowledge sharing and yes, even failure. In Silicon Valley, our heroes are the risk-takers, those who put their skin on the line to pursue a dream of changing the world. For much of these last 30 years, venture capital provided the dreamy entrepreneurs with the money, counsel and connections to make their dreams a reality. Earlier this decade, the Silicon Valley gravy train fell off the tracks. Non-stop success can breed complacency and arrogance. Many in Silicon Valley thought we possessed the secret sauce to building great tech companies. Actually, we did help invent and improve the secret sauce, but like secrets that shouldn’t be kept, the recipe spread around the world and was improved upon, so that today, promising tech companies sprout in every corner of the globe without our assistance. Silicon Valley has eaten its share of humble pie lately, and that’s a good thing for the future of our industry. For many Silicon Valley entrepreneurs, venture capital was the oxygen that breathed life into what might have otherwise remained an idea scribbled on a napkin. After all, startup creation is expensive. In exchange for the capital, the entrepreneur usually gave the VC anywhere from 20 to 60 percent of their company, and with that ownership they also gave up some control. VCs, while usually super-intelligent people, are fallible like the rest of us. They have a recurring habit of getting caught up in the greed and feeding frenzy that occurs when a startup in a hot new category hits pay dirt with an IPO. Like drunken lemmings waving fists of cash, they compete against one another to fund similar startups in the same category. The ensuing competition sparks bidding wars that inflate the valuations of the companies and lead to a glut of cookie-cutter startups in the same category. 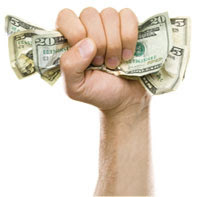 Other entrepreneurs, spellbound by the razzle dazzle of the big dollars, rush to modify their startups to fit the same mold so they too can get funded. Inevitably, consolidation comes because the market can’t support so many clones. Many entrepreneurs who’ve sold their souls to a VC view VCs with equal parts admiration and contempt. Key positives: VCs offer access to capital, advisors and connections that can maximize their odds of getting their company out there. Key negatives: The VCs make promises they often can’t keep (such as “spend our money quickly, we’ll be here to give you more when you need it”); their allegiance is fleeting (VCs are legend for losing interest at the first signs of hardship); and their interests aren’t necessarily aligned with those of the entrepreneur. This last two points are the most critical. A VC’s allegiance is to their investors first and foremost, not the entrepreneur or the entrepreneur’s company. At times these interests are aligned, but more often than not they diverge. VCs play a numbers game. They understand that out of every ten companies they fund, six or seven will be outright failures, maybe two will be “base hits” or “doubles,” and then maybe one will be a home run. The one home run, like the next Cisco, Netscape, Google or what have you, makes up for the other nine duds. This desire to hit a home run will often cause a VC to manage their portfolio contrary to the best interests of the entrepreneur or their company. In other words, if you are one of the three most promising companies in a batch of ten, the VC may encourage (or force) you to take big risks and swing for the home run, even when a base hit or double is a smarter move. By forcing companies to take inappropriate risks, they do create the occasional home run, but they create many more failures along the way. One of the reasons a thousand Silicon Valleys have sprouted up around the globe is that it no longer takes the same amount of funding to create a startup. The tools to build the company are essentially free now. With low cost or free open source software, and limitless free access to knowledge (Wikipedia and Google) and relationships (social networks) acting as equalizers, more and more entrepreneurs are turning their backs on the VCs. Some will utilize angels instead. Angels are service providers or fellow entrepreneurs who have experience in the same field, and who contribute much of the same value as a VC without exacting the same quantity of flesh. Some of these entrepreneurs grow their business to profitability and then have the option, but not the necessity, to partner with a VC. Once an entrepreneur has proven the success of their business (i.e. they’ve eliminated much of the risk), they can either forego venture funding altogether, or they can bring on the VC under more favorable terms. So now, my dear reader, if you haven’t already come to your own conclusions about why publishing is like venture capital, I encourage you to perform this fun word play exercise. Enjoy! In my next post, I’ll share what I think all the above means for the future of publishing and indie authorship. I was the guest speaker today at the Bay Area Independent Publishers Association monthly meeting in San Rafael, CA. The topic was ebooks. It was a smart crowd of publishers, many of whom have decades of experience in all matters of publishing. They asked great questions and it was fun to see such enthusiasm for the publishing opportunities presented by ebooks. We had an interesting conversation about how books are ultimately vessels of cultural expression, and how digitally distributed books can cause cultures to collide unexpectedly when one culture's norm is another culture's freak show. I won't mention the exact Smashwords book that sparked this discussion that left some of us squirming uncomfortably, though I'm sure enterprising minds might figure it out on their own. I brought a PowerPoint presentation, but alas, we couldn't get my ThinkPad to communicate with the projector. So there I was, holding my ThinkPad in the air so the audience could view the market data graphs. For those who'd like to view the PowerPoint presentation in its original unadulterated form, click here to access it at Slideshare. Claudio Soares, a Brazilian author and literary blogger, has launched an intriguing multimedia online publishing experiment involving Twitter, CommentPress, videos, music and ultimately, Smashwords. A couple years back, Soares published his novel, Santos Dumont Número 8. The story revolves around an aircraft inventor who numbers each of his inventions with "Santos-Dumont número 1" through "Santos-Dumont número 22." Mysteriously, for some superstitious reason, the inventor refuses to use the number 8. The book follows eight main characters, seven of whom are intent upon unlocking the truth behind the mystery, and one of whom, I assume, is intent on keeping the reason a secret. Soares has broken the novel into pieces, and is serializing it from the unique perspectives of each of the characters, each of whom has their own Twitter account. In an interesting twist, the characters will interact with their Twitter followers. This has the potential to create an immersive experience, not just for the community of readers that congregates around the book and its characters as the story unfolds, but for the author as well. 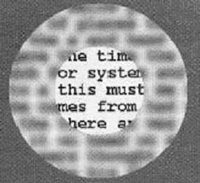 At the same time, Soares is serializing the the novel in its entirety from http://www.twiter.com/sd8. Readers can view the twitterstreams of all characters simultaneously at Crowdstatus, an online app that allows you to aggregate the Twitterstreams of multiple people. There's a bookish twist to the novel, because it's also a book about books and readers. The narrator of the story is reading from a book. As Soares explained to me, "The main character, Abayomi, reads and it seems as if the story he reads is really happening." Soares says in writing the book, he found inspiration from by some ideas of the Argentine writer, Jorge Luis Borges, who once said words to the effect that, "the reading of a book makes us experience parallel worlds, which often, superstitiously, invade our reality." Does Soares believe his experiment presages the future of reading? Not at all. He recognizes Twitter has numerous flaws in terms of its ability to convey a story. Twitterstreams, for example, are like ongoing conversations, and the participants pop in and out of them as if pedestrians passing in the street, so it's difficult to follow a narrative. People also tend to read Twitterstreams in reverse chronological order, which is also not terribly conducive to an immersive reading experience. And finally, for those who want to follow a story from start to beginning, Twitter doesn't make it easy to locate the start of a stream, or follow complex conversations that occur within the stream. According to Soares, discovering the inherent limitations of these social reading tools is part of his experiment. He plans to document his experiences on his blog, and he'll publish the complete Twitterized version of the novel on Smashwords after the completion of the experiment. No matter how you look at it, we've come a long way since papyrus scrolls, stone tablets and Gutenberg. Alright folks. Turn your clocks forward. If you're waiting for ebooks to go mainstream, it may have happened already. The IDPF reported today in an email to members (see below for snippets of the email) that wholesale ebook sales for January 2009, as reported by the American Association of Publishers, jumped 173 percent over the same period one year ago to $8.8 million. 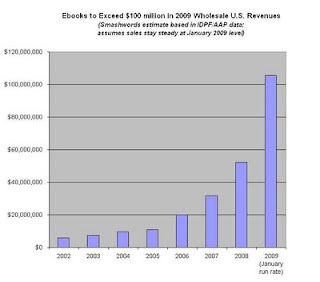 If you annualize that over 12 months, as I did at left, it means wholesale ebook sales are on track to surpass $100 million in 2009. I'll give you a minute to lift yourself up off the floor, because I'm not done yet. As I reported here in my previous analysis in January, the numbers are even more interesting when you dig beneath the surface. The rate of growth is accelerating. We saw some signs of this in the final months of 2008, but with January, the numbers shot through the roof. The chart at left examines the quarterly sequential revenue growth over the last two years, and by sequential I mean Q2 to Q3, Q3 to Q4, etc. This provides a measure of how one quarter relates to the quarter immediately preceding it. When you see sequential growth accelerating, something interesting is happening, especially when the growth is accelerating off of an ever-increasing base. For Q1 2009, I took the $8.8 million for January and assumed February and March would be the same. Based on what appears to be happening, I'm probably overly conservative. Still, the number shows an estimated 57 percent sequential increase for Q1 2009 over Q4 2008. In other words, 2009 is going to be a break out year for ebooks. Next, I analyzed what the numbers would look like if the sequential quarterly growth rate slows to 25 percent per quarter for the rest of 2009, again assuming January 2009 is representative of where 2009 is headed (of course, there's a chance January was a wild fluke, in which case all my estimates are worth the price you paid to read them). 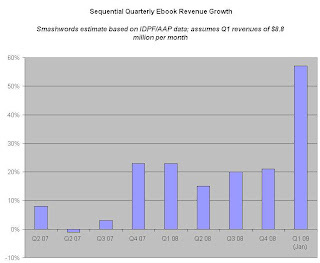 With 25 percent quarterly sequential growth, wholesale US ebook sales will be over $150 million. And unlike paper books, these aren't books that are shipped and counted as sold before they've actually been sold through to consumers. This is actually sell-through (someone correct me if I'm wrong). If you further assume, as the IDPF notes in their email below, that retail sales are about twice wholesale sales (because the retailer marks up the price paid to the publisher), retail sales could reach $300 million for 2009.
eBook sales statistics for January 2009 have been released from the Association of American Publishers (AAP) who collects these statistics in conjunction with the IDPF. 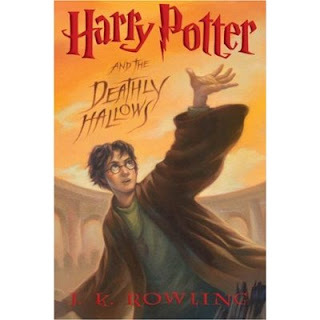 Trade eBook sales were $8,800,000 for January, a very significant 173.6% increase over January 2008. Just a reminder these are wholesale revenues reported from 13 participating Trade Publishers. 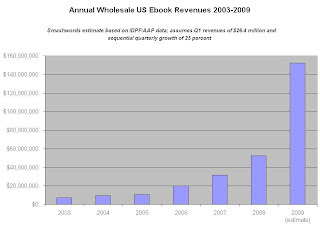 This data represents only trade eBook sales via wholesale channels. Retail numbers may be as much as double the above figures due to industry wholesale discounts. You can examine the IDPF data for yourself at http://www.idpf.org/doc_library/industrystats.htm. 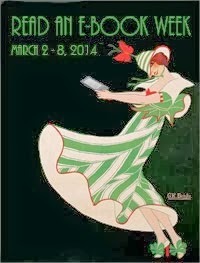 So what do you think, have ebooks gone mainstream? I think for authors and publishers who release in e-, ebooks have gone mainstream. Amazon reported in February that for books they sell in both e- and p-, they're deriving 10 percent of sales from e-. That's huge. It means if you offer your books in e-, readers will come. I've seen other reports of similarly large percentages from progressive publishers such as O'Reilly who are also reaping big sales increases on the e- side. 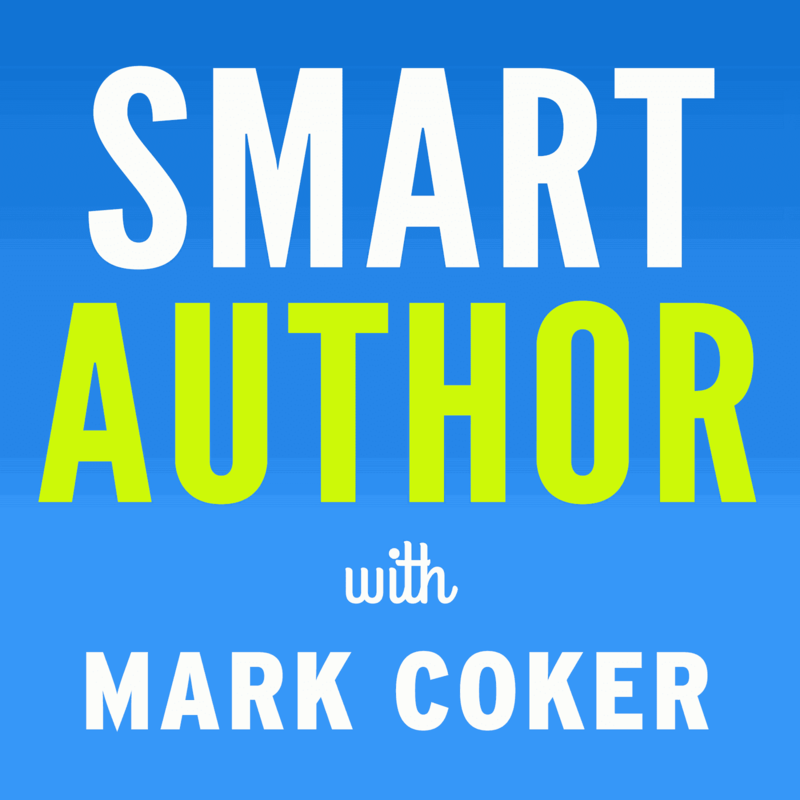 If you're an author or publisher, and your books aren't already listed on Smashwords, why not? Our 85 percent net to the author/publisher beats Amazon by a wide margin. Just sayin'.